Atlanta. WERD 860 is in the background. WERD 860 was the first radio station owned and programmed by African Americans. The station was established in Atlanta, Georgia on October 3, 1949. WERD Atlanta was the first radio station owned and operated by African-Americans. Jesse B. Blayton Sr., an accountant, bank president, and Atlanta University professor, purchased WERD in 1949 for $50,000. He changed the station format to "black appeal" and hired his son Jesse Jr. as station manager. 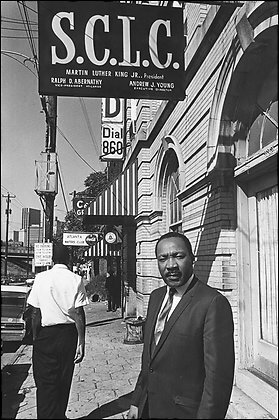 After playing an important role in the Civil Rights Movement, WERD was sold by Mr. Blayton in 1968. -This site began in 2008 as simply a tribute to the History of Black Radio Stations and great Black Radio DJ's. As we began to dig for information about Black Radio before the 1980's, we started to uncover a whole history of radio that many today never knew existed. 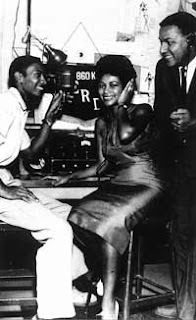 Then we moved into blogging about today's urban radio scene while maintaining our original site on the History of Black Radio. However many of the sites we linked to no longer existed. Instead of letting those memories of Black radio just fade away, we've decided to update and freshen up the information a bit here. Look for great content from our previous site and new content on this important legacy established to serve and entertain the African American community. Check back for more posts coming your way over the next few months, as we relive the greatness of Black Radio!